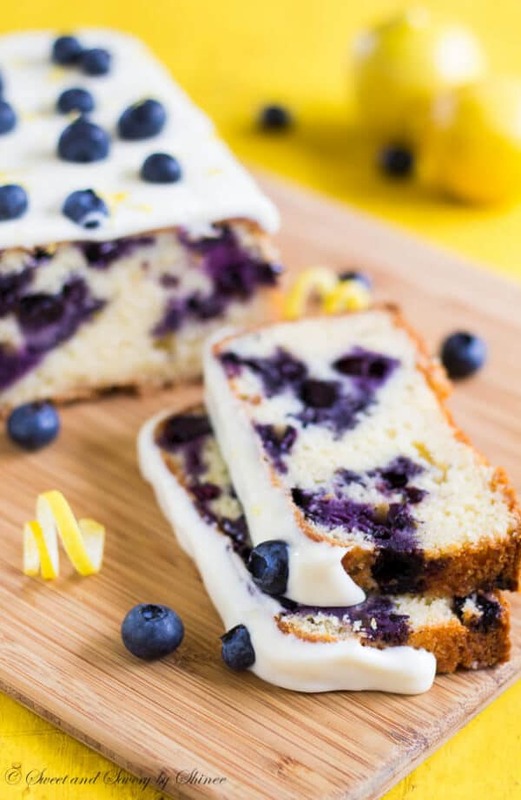 This blueberry lemon cake, loaded with fresh blueberries and glazed with sweet and tangy lemon cream cheese frosting, is light and tender, perfect summer treat! If you follow me on Instagram, you know that I was swimming in the sea of blueberries, apricots and peaches last week! 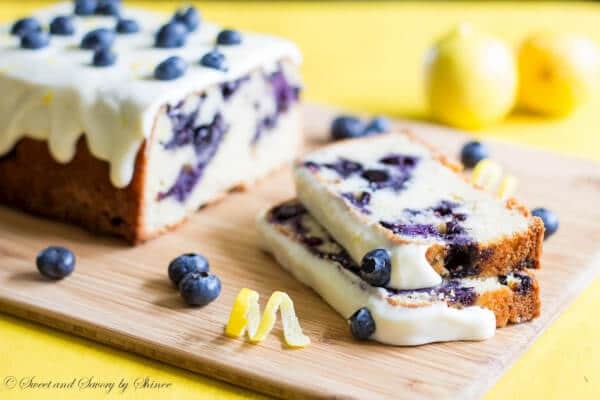 I also made absolutely delicious blueberry banana bread, two of this blueberry lemon cake, and enjoyed some fresh blueberry smoothies. Oh, how much I love summer and all the fresh fruits that come with it. 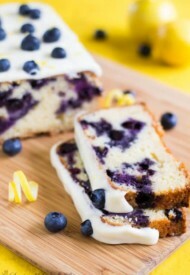 If someone will ask me what is the best summer cake, I’d say this blueberry lemon cake! No doubt about it! Lots of fresh blueberries, fresh lemon aroma, sweet and soft crumbs… So much deliciousness is happening here! As I mentioned above, I made this cake twice last week. First time around, I had some issues: the batter was a little too much and a bit runny, thus most of the blueberries sunk to the bottom. It tasted finger-licking good though! 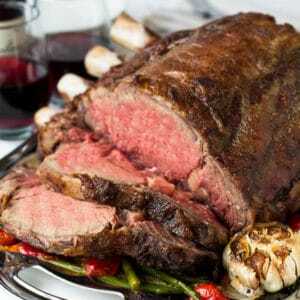 My mom, my husband and I inhaled it just as soon as it had cooled. I didn’t even get a chance to snap a photo! I was thinking to post a photo with a caption “Fail of the Day”, but it was not a fail, just an ugly duckling. 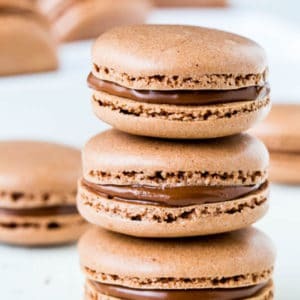 Now that I fixed the issue, I’m ready to share the recipe with you. Finger-licking delicious AND picture-perfect! 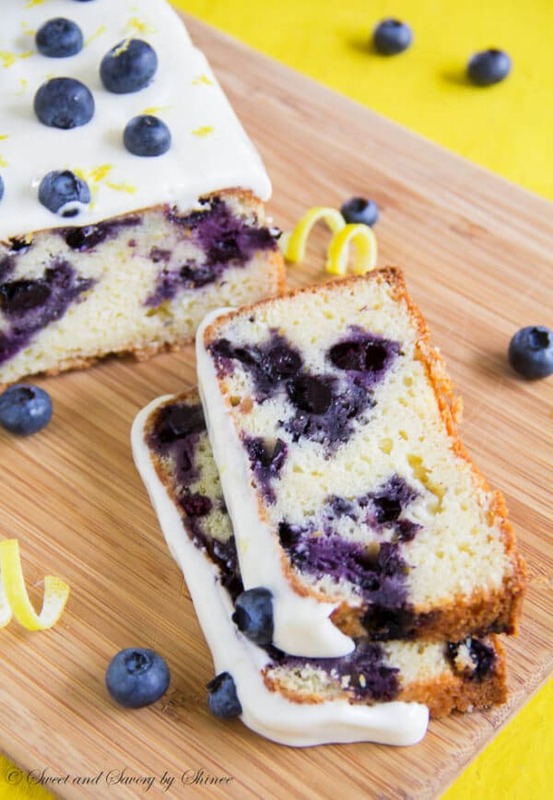 So if you have some blueberries hanging out in your fridge, it’s time to put them into a delicious cake. Have fun! Preheat the oven to 375°F (190°C). 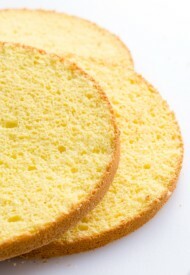 Spray 9×5-inch loaf pan with a cooking spray. 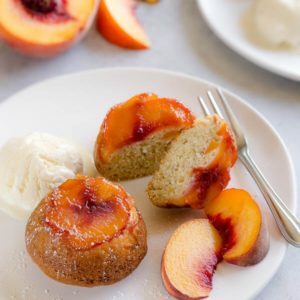 In a small bowl, whisk together 1 and ½ cups of flour, baking powder, baking soda and salt. Set aside. In a mixing bowl, beat butter and sugar for about 3 minutes until nice and fluffy. Stir in lemon juice, lemon zest and vanilla extract. Beat in the eggs one at a time, scraping the sides of the bowl after each addition. Add half of the flour mixture, and mix until just combined. Then stir in the Greek yogurt. And finally add the remaining dry ingredients and mix until just combined. Be careful not to over-mix. 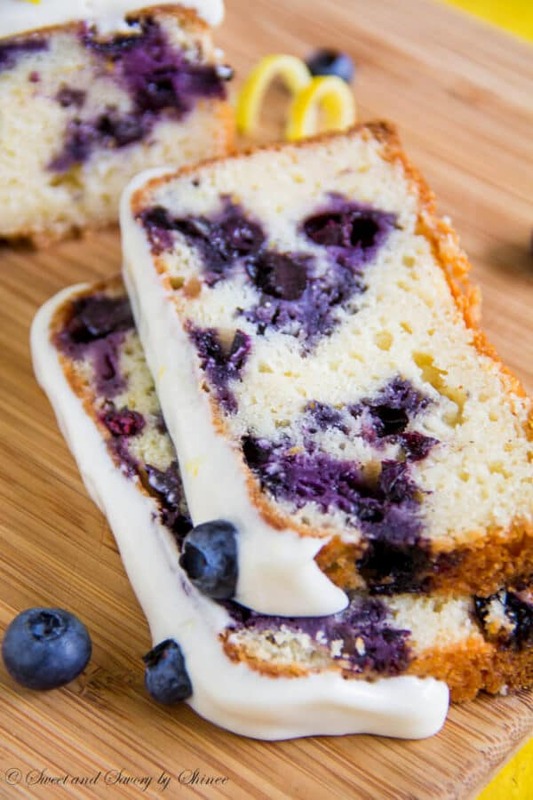 Toss the blueberries with the remaining 1 tablespoon of flour. 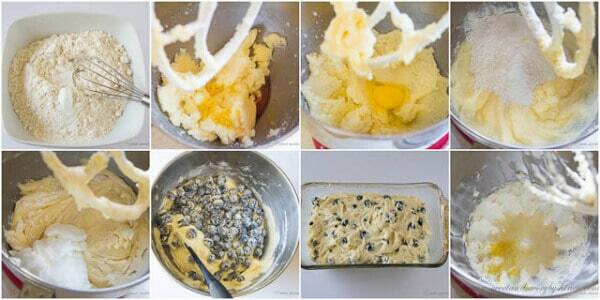 Gently mix in the blueberries into the batter. Transfer it into the prepared pan. Bake for 45-50 minutes, or until the inserted toothpick comes out clean. Cool the cake on wire rack for 15 minutes, remove from pan and cool completely. 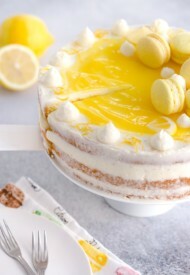 While the cake is cooling, prepare the lemon cream cheese glaze. In a mixing bowl, beat all the ingredients until smooth. Add more milk for thinner glaze, if desired. 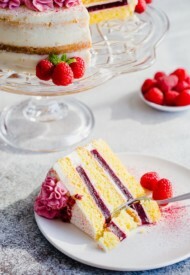 Glaze the cake once it’s completely cooled. haha you are going to hate me, but on the last step, you put GRAZE instead of GLAZE. im so sorry to be that person but i can’t help it lol. 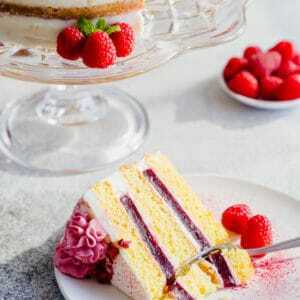 beautiful cake though! It’s in the oven. I don’t remember the last time I licked the beaters, but the batter was delicious and I’m looking forward to the cake when it’s done! Yay, hope you enjoyed cake as much as we do. It’s one of our favorites. Thanks, Heidi. oh man, this looks so unbelievable!! Yes, you can use frozen blueberries. No need to thaw them. 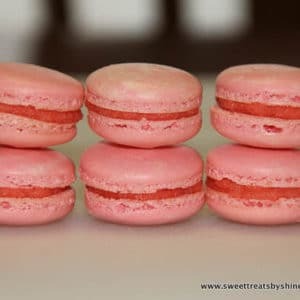 Just throw in the frozen ones into the batter.